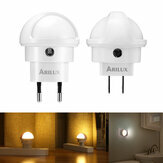 1)Waterproof and heatproof outdoor lights: IP65 waterproof ,can be used in garden,yard, pool, deck, outside wall. 2)High-efficiency & eco-friendly wall Lights: The solar light converts solar power into electric energy to flood light outdoor place . 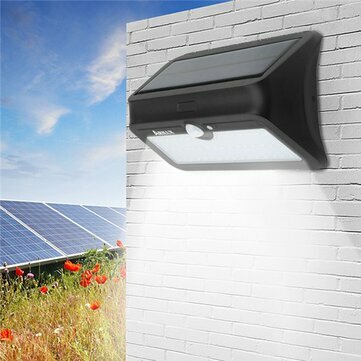 3)Supper bright LED solar lights: 46 bright LEDs is bright enough to offer excellent illumination and great detector for security. 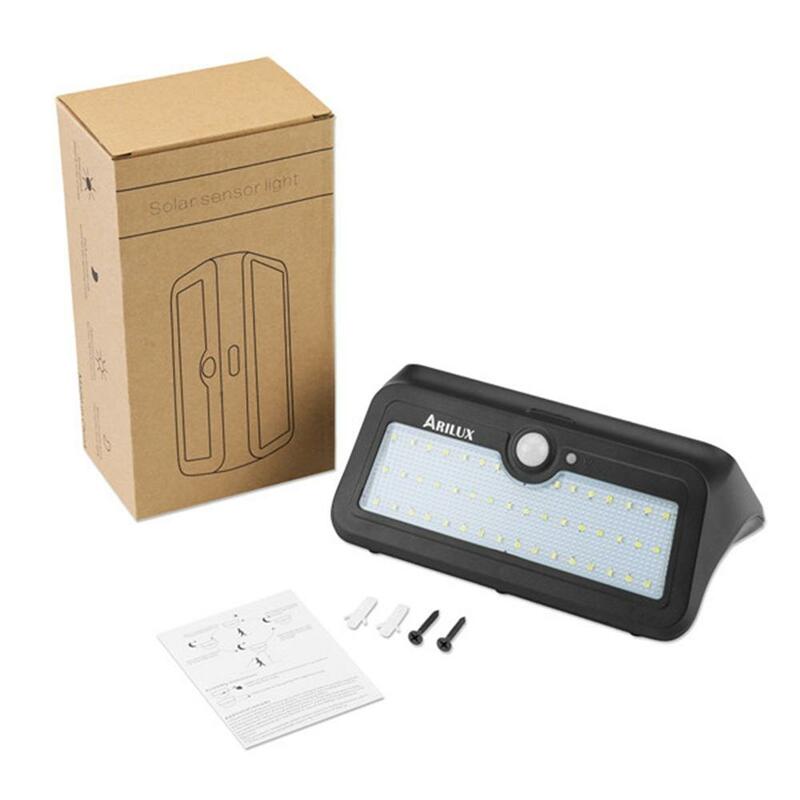 4)Automatic motion sensor light: the solar lights turns on automatically in the dusk and turns off at dawn. 5)Four modes are optional: strong light mode;dim light mode; sensor mode;emergency light mode. 6)Designed with bigger sensor ball head to have a longer sensor length of 10-26 feet and detection angle is up to 150°.